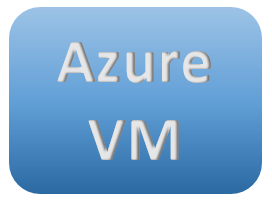 In this post and accompanying video I outline six ways to save money when using Azure VM’s. There are a lot of good reasons to use Managed Disks but they differ with Unmanaged Disks in their price structure. Managed disks are billed at a set rate per month. Unmanaged Disks are billed based on blob storage usage. Because of that, unmanaged disks are cheaper on servers that don’t store a lot of data. If you have test, demo, or other servers that don’t need Managed disks, you may save some money using Unmanaged Disks. Azure Policies enforce rules on what and where resources can be deployed. Use Policies to prevent un-approved resources from getting deployed. For example, a policy can be used to prevent expensive M Series VM’s from being deployed on your subscription. Virtual Machines are only charged when they are running. If you have test or development servers that don’t need to be on 24×7, schedule them to shut down when not in use. Keep in mind, it’s not enough to shut down the VM in the OS, the VM’s need to be deallocated to stop charges. Take a look at the Azure Automation solution linked below to automatically start and stop VM’s on a schedule. No familiar with Azure Automation? Check out my playlist on YouTube for everything you need to get started. Prevent unexpected expenses by tracking and forecasting costs. Cloudyn is a service that takes cost reporting in Azure to the next level. The Cloudyn service was acquired by Microsoft in 2017 and is free for Azure subscriptions. It’s also available for AWS and Google Cloud for a fee. Setup is easy and takes about 24 hours for data to show up. Once complete, you get some awesome analytics around your Azure Spend. This one is for users with an EA agreement and using Windows Servers. If you have an Enterprise Agreement and purchases server CPU license with virtualization rights, you likely qualify for Hybrid Benefits. Hybrid benefits allow you to leverage the EA Server license you already own in Azure, dropping the cost of Windows VM’s to hardware only, or approximately equivalent to the cost of a Linux VM. Reserved instances allow you to prepay for your VM’s at a discount. Odds are, if your setup VM’s in Azure instead of using a PaaS offering, they may be around for a while. A Domain Controller running in Azure is a common example. For long term use servers, you might as well prepay and save some money. Azure Reserved Instances can be exchanged or cancelled if needed, and give prioritized compute access in Azure Regions. Reserved Instances can save you up to 72%, and up to 80% when used with Hybrid Benefits. Not all of these options will fit every environment, but I hope you can apply a couple and save some money.